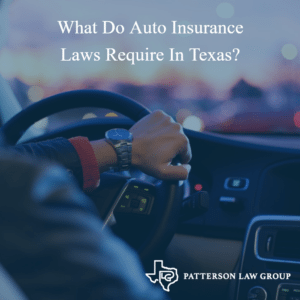 What do auto insurance laws require in Texas? 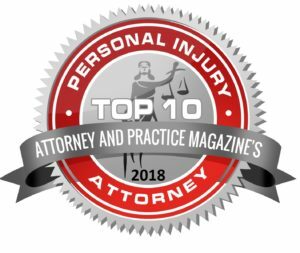 Drivers in Texas are responsible for paying for damage or injury in accidents they cause. If there is an accident, the auto insurance of the person who is at fault should pay to repair or replace the other vehicle as well as any medical expenses that were caused by the accident. 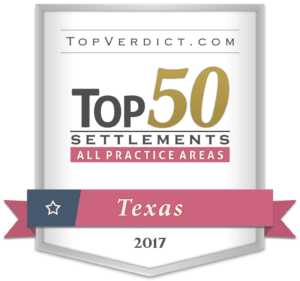 According to Texas Department of Insurance, current minimum liability coverage is up to a total of $30,000 per person or $60,000 per accident. There is also a limit of $25,000 for property damage in an accident. This minimum coverage might not actually be enough to cover all the expenses if you are at fault in an accident. You could be sued for costs over this minimum coverage. It’s also not enough to cover damage to your own vehicle or to treat your own injuries. There are other types of insurance that are meant to cover this, such as personal injury protection, collision and comprehensive. Basic liability coverage pays medical and funeral costs as well as lost wages, car replacement or repair costs and rental costs for the other driver. It will pay your attorney fees if someone sues you, and it will also pay up to $250 for bail if you are arrested after an accident. If you have collision coverage, it will cover damage to your car. Underinsured or uninsured motorist coverage will cover your expenses if you are in an accident with a driver who has no coverage or insufficient coverage. If you believe the other driver is at fault, get contact information from anyone who witnessed the accident. Make note of road conditions and weather. Don’t assume responsibility for the accident until the facts are investigated, because they may show that you weren’t at fault. Written descriptions are helpful, but photographs showing damage to each vehicle are better. Collecting the proper information helps to prove your innocence. You will be required to file a crash report, form CR-2 within ten days of the accident if there isn’t a police investigation because of injury, death or property damage over $1,000. Once you are safely at home, contact your insurance company to report the accident, and an investigation will be started. Your insurance company will want to evaluate the damage to your vehicle, so don’t do any repairs immediately. Don’t talk to anyone about the accident other than the police, your insurance company or your lawyer if you have one. If you are contacted by the other insurance company, refer them to your insurance company or lawyer. If you have been injured, don’t attempt to move until you are assisted by a first responder. Once you receive treatment, keep track of all medical professionals that you get treatment from and all medical expenses. Your lawyer will request a copy of the Texas Peace Officer’s Crash Report (CR-3). This can be obtained from the Department of Transportation. 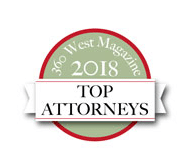 If you have been injured in an auto accident, Patterson Law Group can help. 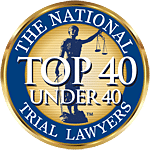 Fill out the contact form on this page, and one of our attorneys will be in touch with you soon.